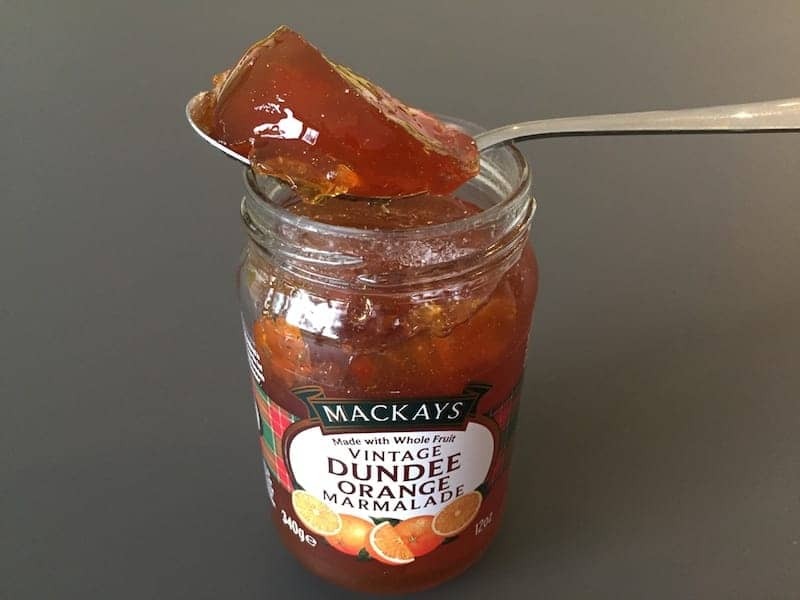 The Scottish city of Dundee was first associated with marmalade when James Keiller and his wife Janet ran a small sweet and preserves shop in the Seagate area of Dundee. In 1797 they opened a factory to produce 'Dundee Marmalad'. This preserve was distinguished by thick chunks of bitter Seville orange rind. Mackays, the last remaining producer of this iconic product in the Dundee area, continue to make marmalade in traditional copper pans today. A quintessentially British favorite, Paddington Bear, a fictional character in children's books, is also renowned for his liking for marmalade, particularly in sandwiches, and kept it in his briefcase wherever he went.